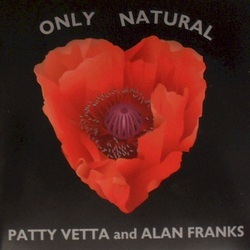 After compiling the first album by Patty Vetta and Alan Franks from their existing recordings, I went on to record and mix all their following albums. The latest CD "Only Natural", recorded at my own studio, is now available, together with their previous four albums. 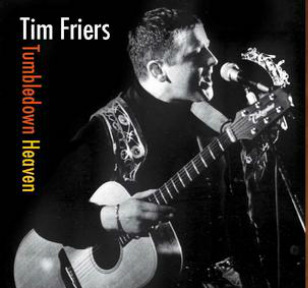 The CD "Tumbledown Heaven" by singer-songwriter Tim Friers. "Tim Friers is a Belfast-born singer/songwriter who mixes poetic lyrics, great melodies and superb musical arrangements to deliver a type of pleasurable listening experience you may have been searching for. Songs which draw on his experiences of life, and of loves lost and found, are interpreted to beautiful effect by musicians and vocalists who have been around Tim and his writing for many years. These are gentle, reflective songs which keep on giving and revealing themselves the more they are heard. A real find." Tim has a great way with words, thankfully he has a great way with melodies and chords too, and the end result is an album of beautiful songs, carefully crafted and executed. Tim has used largely acoustic instrumentation here, with some neat twists, and covering a wide array of musical flavours. Each song has a story to tell or a feeling to recreate, and Tim sings each one from the heart. If you're after an hour of superbly written songs with a bit of thought behind them then I urge you to try this album. A delight from start to finish." Released in 2012, the latest album by Lesley Curtis is "Naked", an original blend of English folk, country and bluesy rock, which interestingly makes for a very tasty slice of Americana. “Naked” by Lesley Curtis is now available in CD form at www.lesleycurtis.com and for digital download on iTunes. And now Lesley's latest album "Looking For The Girl" is available on i-tunes. Or buy your hard copy (CD) through the website store. "a tasty slice of English Americana". Lesley Curtis again, this time in smooth jazz mode, with me on guitar, as Jazza-Nova. We work live as a duo, just one vocal and one guitar. But here's our studio album "Songbook" featuring some of the classic American songs. Occasionally switching to acoustic guitar, or adding bass, drums or percussion, but mainly as you'll hear us 'live'. Laid-back, sophisticated jazz vocals tinged with soul from Lesley Curtis, accompanied by smooth jazz guitar. I've also recorded lots of my own production music, and demos for friends, including the late Pete Sayers. I recorded 'Live In The Park', an album with The Wississippi Jazzmen. Also available is "Busking In The Street" a live recording of The Stamford Stompers. And a CD of live country music, featuring The Country Knights and The Fargo Band. And to tie in with our performances of the Eva Cassidy show, a special souvenir CD featuring Lesley singing some of Eva's most popular songs.